As you know I have visited the Hard Rock cafe in berlin multiple times. during my travels to Bali I have passed by the Hard Rock hotel Bali but never visited it. Within my current trip to Bali I had the pleasure to be invited by the hotel to discover it in order to prepare my review.. Located in one of my favorite areas named Kuta, near by the beach walk shopping center, one will find the Hard Rock hotel Bali. It was a special occasion for me, as I have read so many articles about Hard Rock. It is a totally different guest experience to stay in a Hard Rock hotel and it was truly an experience for me, that I won’t forget. 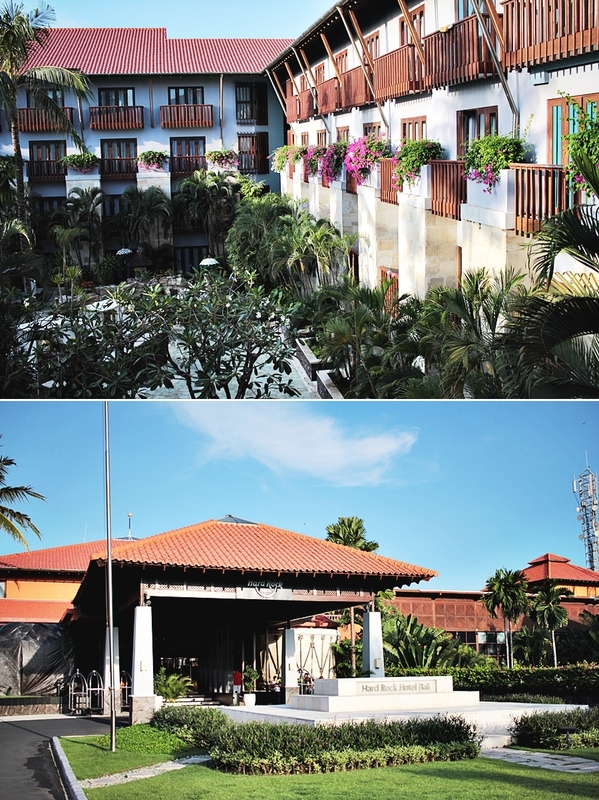 The Hard Rock Hotel Bali is a 4 star hotel with a total of 418 rooms. 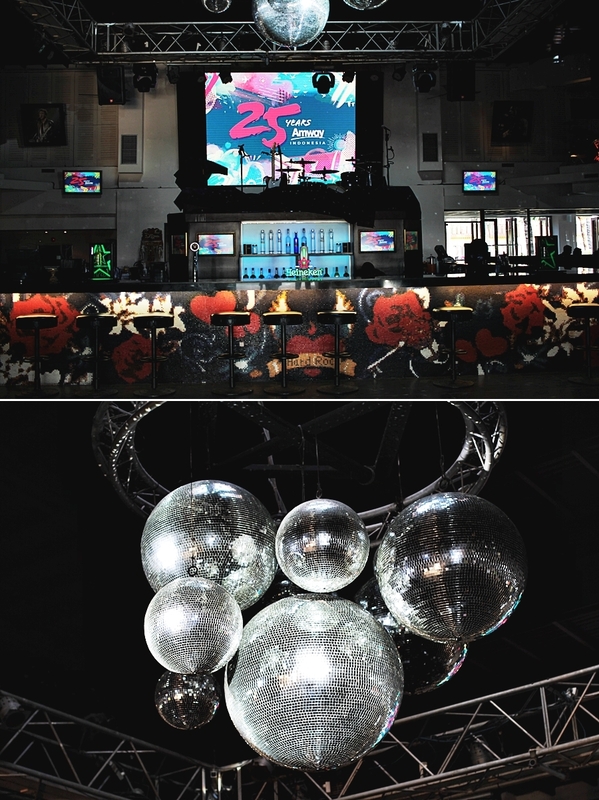 All rooms are beautifully decorated with memorabilia and icons which give an impression of the uprising and development of music, fashion and arts, which celebrates artists from the 50’s to the late 90’s. 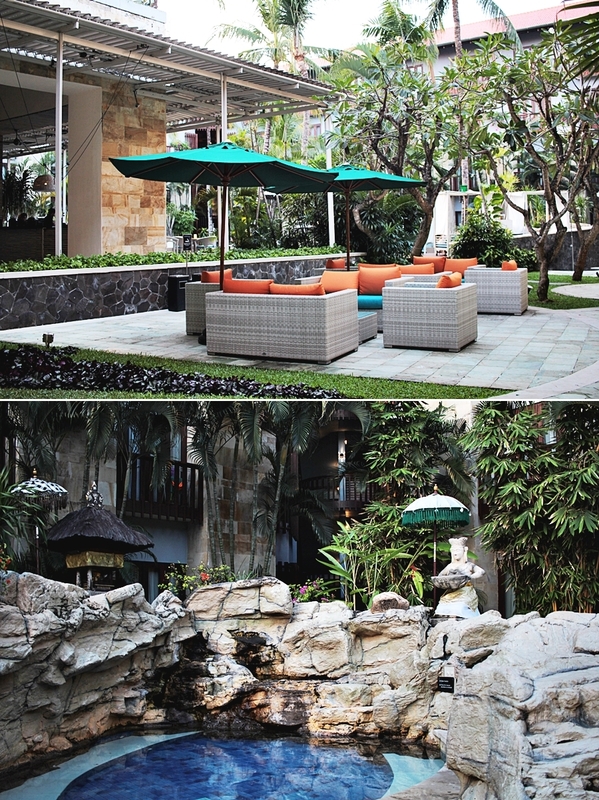 The Hard Rock Hotel Bali is only a quick drive from the airport. One can use the taxi or pre- book the hotel shuttle for an extra charge. On our arrival our luggage was stored and we were escorted to the lobby, where we received some chilled beverages and got explained more about the huge resort. After that we went to the room, which was in the fourth of four floors. Our room was in the VIP section, which is in a special room type class and offered us some privileges. The room has a lovely vintage charmed but was still provided with the latest technical devices. As the Hard Rock hotel is all about to express music and its cultural background we also found some Bluetooth speakers in the room along with the IPTV in room system that shows our name on the home screen upon arrival, we just felt so personally welcomed. 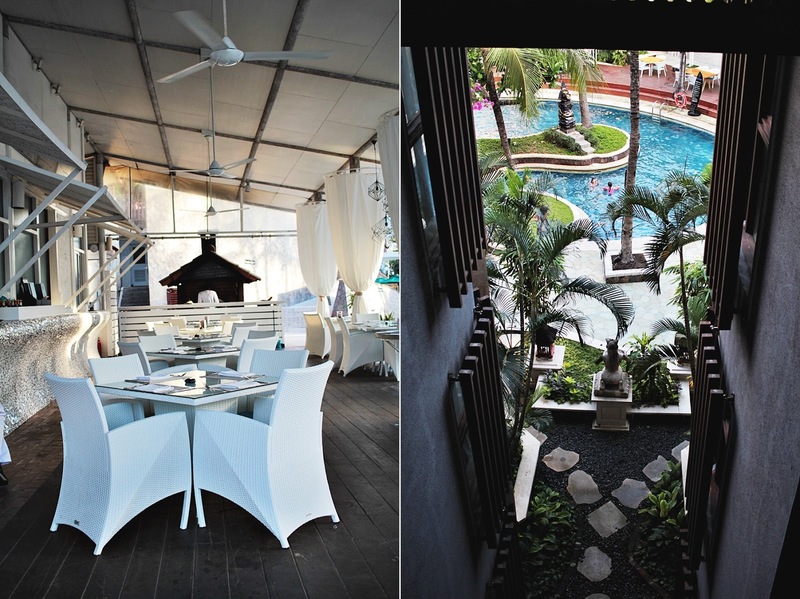 The room design was generally very detailed and inspired by the classical symbol of Hard Rock Hotel Bali. 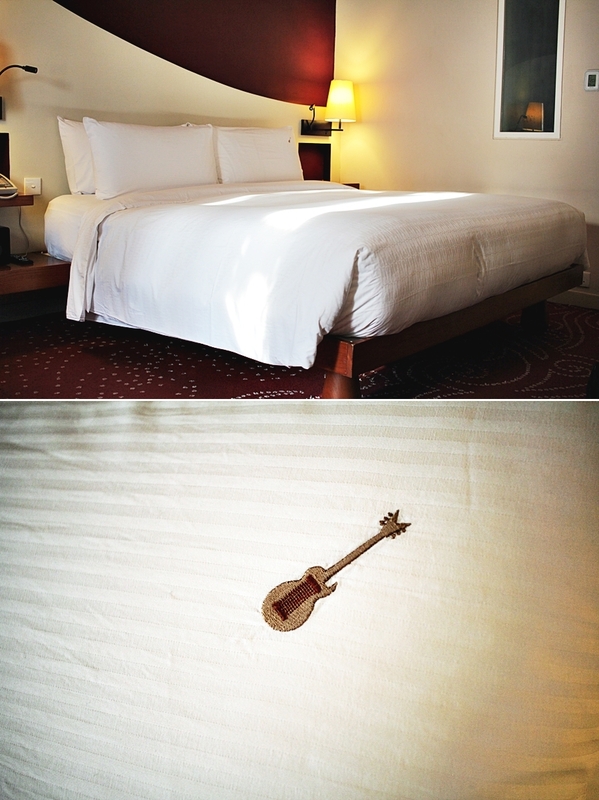 The cutest details have been a small guitar on the bed sheets. The bathroom was provided with a huge bathtub and a shower. Moreover, I also enjoyed some amenities of Rock spa with fresh fragrances. 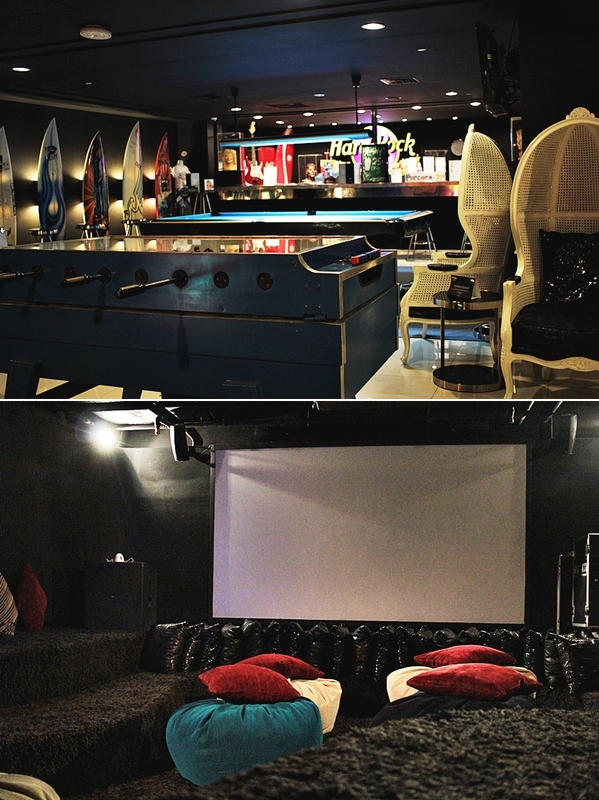 As Hard Rock Hotel Bali is more a resort than “only” a hotel one will find all kinds of entertainments and activities. It is hard to get bored in a hotel like this. Everything one can imagine or even dream of is located in this hotel, even a cinema, cooking classes,private dining and daily live music isn’t missing. A true highlight of the hotel is definitely the pool area, which takes most space of the resort. There is even a total of two pools at Hard Rock Hotel Bali. One of the pools is for the VIP rooms types only (called Chill Out Pool) and is opened 24/7 for guests of these higher room typed. Obviously, there is also a main pool, named Sand Island, which is opened for all guests. 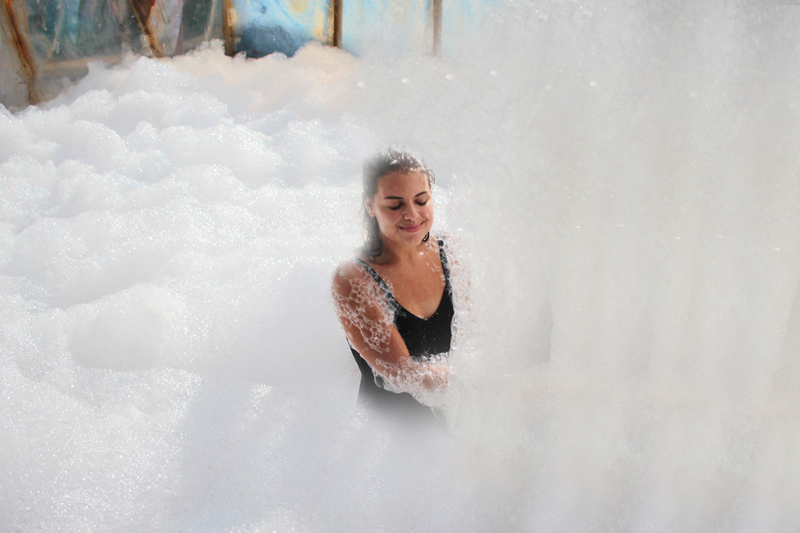 In the main pool area guests can enjoy daily activities or special parties like the weekly foam party for an additional charge of 125K IDR. The pool also hosts cabanas, where I had the pleasure to spend one of my days in the resort as well. The cabanas come with a snack picnic basket and chilled drinks. It is the ultimate indulge if one wants to stay all day by the pool. 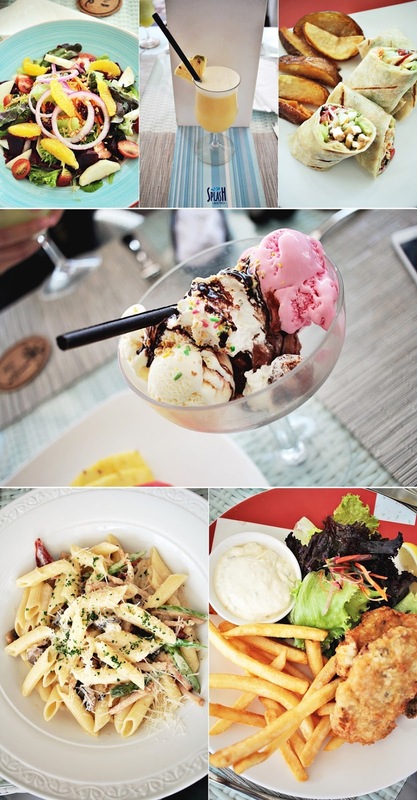 One can also find the Splash Bistro by the pool, that is available for in house guests only and offers some of the best foods that I yet had in Bali. My absolute favorite are the tofu wraps and fresh coconuts. However, the menu offers a wide selection of fresh foods and international cuisine with a twist and many healthy options on top. The hotel design has a wide layout that offers guests privacy even trough higher occupancy. The mixture of waterfalls in the pool and sand on the ground will soil one with a beach feeling away of the crowd. As Hard Rock Hotel Bali is also a family resort, one will be impressed by the close connection of the guests with the staff. I spotted people being very close with the staff and even bringing gift as return guests. It is just like the Balinese charm, that I enjoy so much about this island. When it comes to further activities away from the pool one will have the chance to be an actual Rockstar. Beside taking a photo shoot with the in-house photographer for unique memories, one will also be free to borrow some of the guitars to the room or even recording an own song at Boom Box Recording Studio and receive an EP. 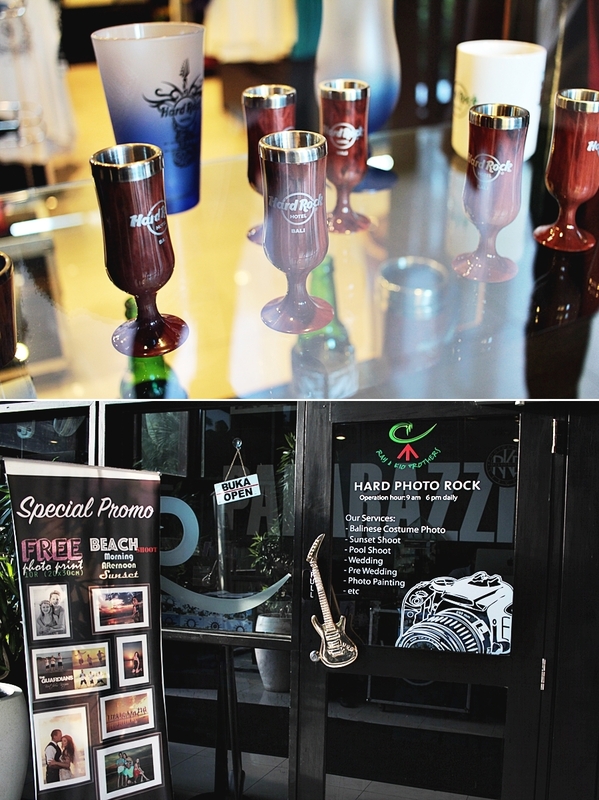 Hard Rock Hotel Bali also hosts a Rock Shop for extra souvenirs and the all-time favorite, pins. Hard Rock Hotel Bali is definitely a place to indulge and make the most out of a holiday while staying having the option to stay at one place only. Also, the breakfast of the hotel is suitable for all kinds of diets and changes daily. 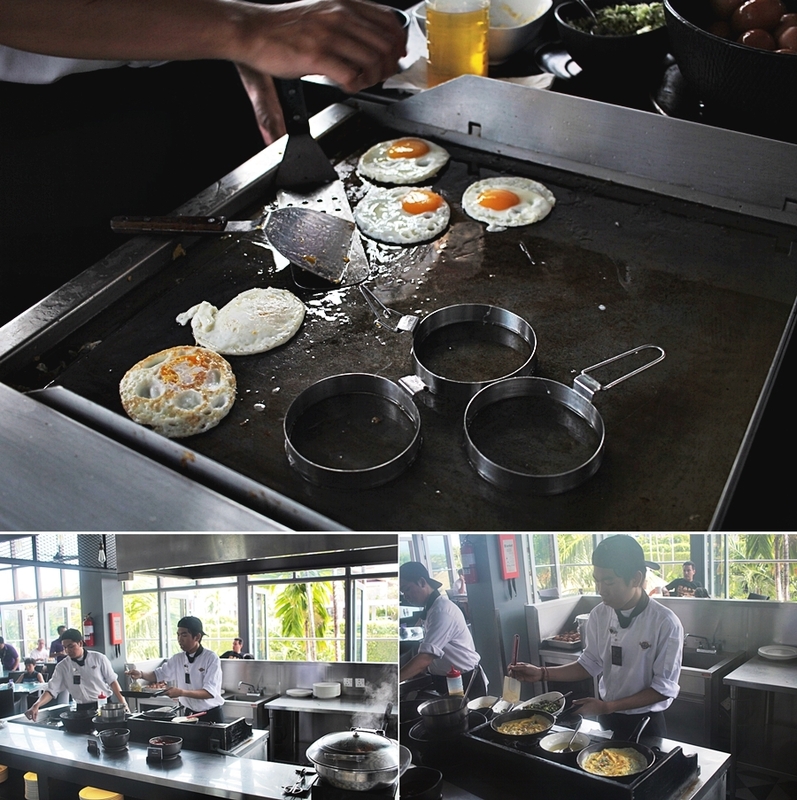 A fresh egg station is provided as well and some more surprises are waiting with every upcoming day. 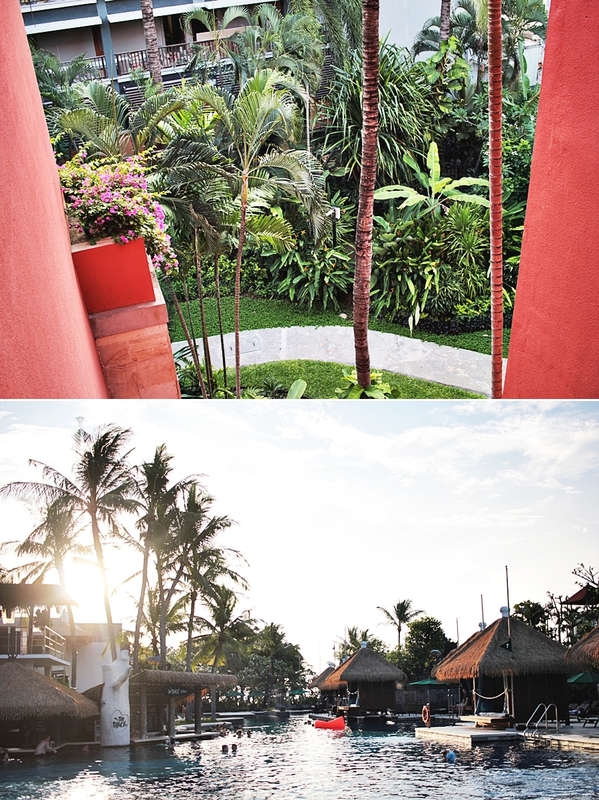 I absolutely enjoyed my stay with Hard Rock Hotel Bali. It was my first stay at theproperty of the hotel chain and I´m absolutely amused by the charming flair and all the colorful and outstanding impressions. It feels like I took a whole load of memories with me and I´m happy to return some day. The Hard Rock hotel Bali will celebrate its 20th anniversary next year. Moreover a 6-month renovation will be done, which will affect only 3 wings out of total 6 wings that are in the hotel. All hotel facilities will remain open and operate as usual, except the Rock Royalty & Chill Out Pool (VIP pool), which will be closed during the renovation period. The main pool of Sand Island will operate as usual.